Posted on June 8, 2016 by Gabriella Badran / This entry was posted in Informative. Bookmark the permalink. 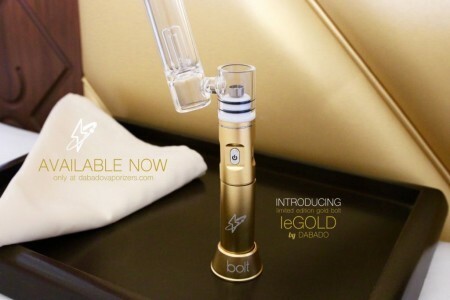 As dabbing becomes increasingly popular, it’s no surprise that there has been an exponential rise in new and improved ways to enjoy your concentrates. From the evolution of oil rigs to new concentrate pens appearing on the market nearly every day, dabbing has evolved from a simple torch / rig / nail setup to one ruled by constantly improving technology. A recent addition to many dabber’s setups has been the electric titanium nail, which eliminates the need for a torch and allows for incredibly precise temperature control (important for getting the best results from your concentrates). Building on that technology, some companies have recently turned their focus to e-rigs. An e-rig combines the benefits of a traditional dab rig with the technology of an electric nail and concentrate pen, resulting in a precise and portable device without compromising filtration or taste. The standard setup of an e-rig consists of a rechargeable battery-powered base, a glass bubbler attachment, a domeless nail, a dabber, and a carb cap. The Dr. Dabber Boost also includes a glass and ceramic domeless nail, for those who prefer different materials. 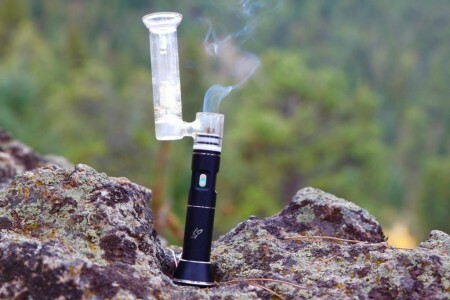 E-Rigs are a perfect choice for those who want to take their concentrates on-the-go, yet are reluctant to compromise the smooth hits and great tastes that can usually only be achieved with a glass rig. E-Rigs have a heat-up time of approximately 30 seconds, and most batteries can last 40-50 dabs before needing to be recharged. 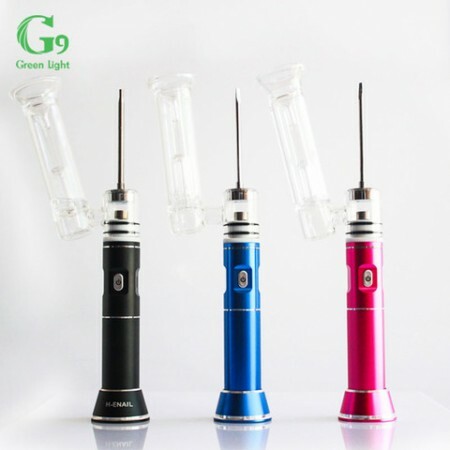 The one shortcoming of the rigs currently on the market is that since the included nail is smaller than standard domeless nails, the While the technology of these rigs is still being improved and perfected, E-Rigs will undoubtedly become a staple in the collection of any concentrate enthusiast.